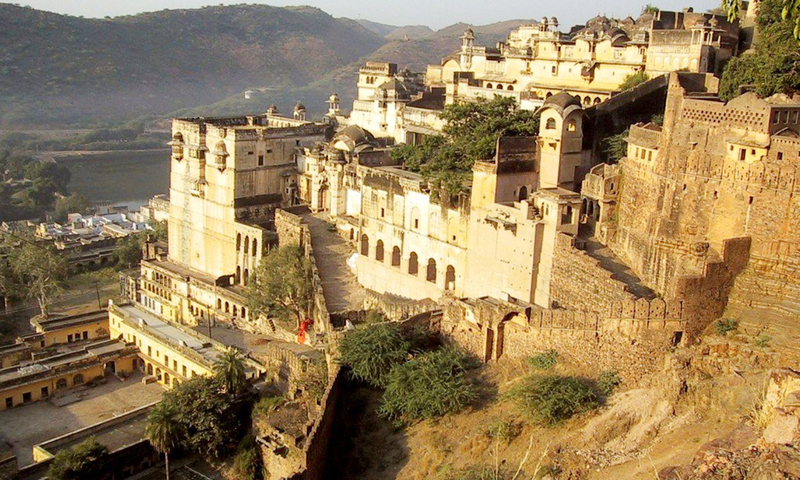 The Forts tour of Rajasthan is specially for those who want to explore the majestic forts, palaces, mansions and divine holy places . 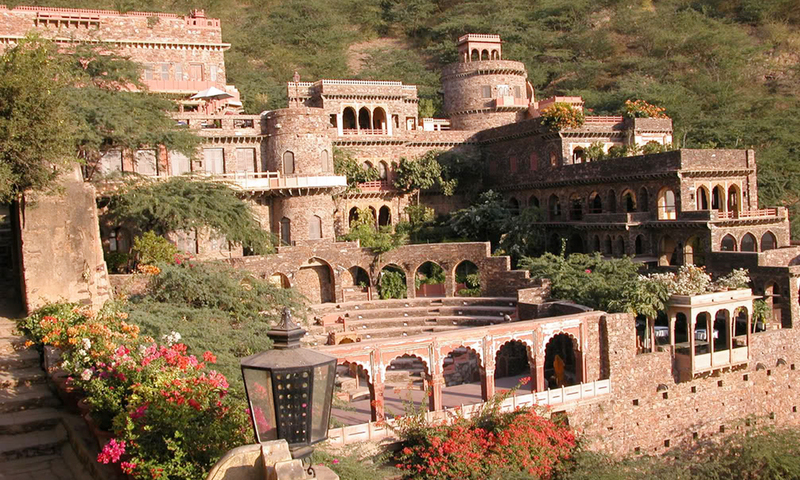 You will get the vibrant picture of Rajasthan by exploring many forts and palaces, you will feel the luxury how the royal families of Rajputan Live their life. You will also explore the various museum build with the fort, which will put a light on costumes and lifestyle of various Rajputana Maharaja. On your arrival to our incredible country, our representative will arrange for the transfer to you hotel and assist you with the check-in process. The day is free to rest and rejuvenate before we begin of tour. For our first leg of this tour, we travel to Jaipur in the morning. After completing check-in procedures at the hotel, we shall tour the attractions in the city such as the City Palace that is adorned with beautiful courtyards, its museum that is home to rare collections of the royal family of Jaipur and the astronomical observatory called the Jantar Mantar. A drive-through visit to the Hawa Mahal, before returning to the hotel for the night. 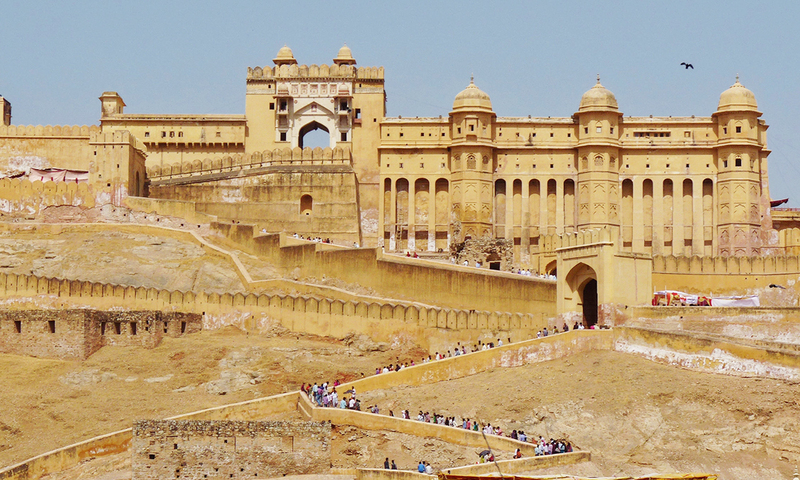 Amber Fort, once the capital of the princely state of Jaipur is a few km away from the city. Today, we travel to this fort, and attempt a journey back in time when the fort actually looked into the affairs of the state and protected the people living within its walls. Experience the royalty at the fort, by taking an elephant tour of the fort, just like the kings did once upon a time. 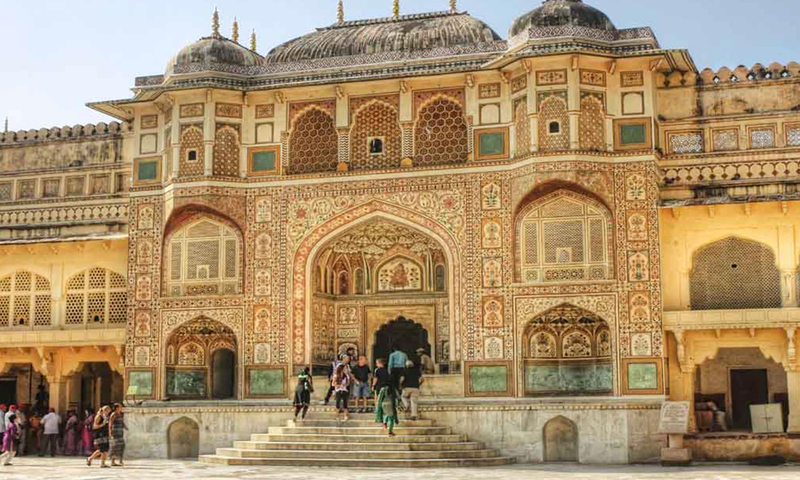 The remainder of the day is free and we recommend the markets of Jaipur city for a visit. The night will also be spent in Jaipur at the hotel. Our next leg of our journey, we travel to the city of Bikaner. After checking in to the hotel, we visit the Junagarh Fort. The fort is unique for it is built directly on the desert itself. And a trip to the desert is not complete, if you do not see a camel. So, we take you to the Camel Breeding Farm in the city where you can see the camels graze and spot a herd of camels returning to their resting places while the Sun quietly sets in the background. 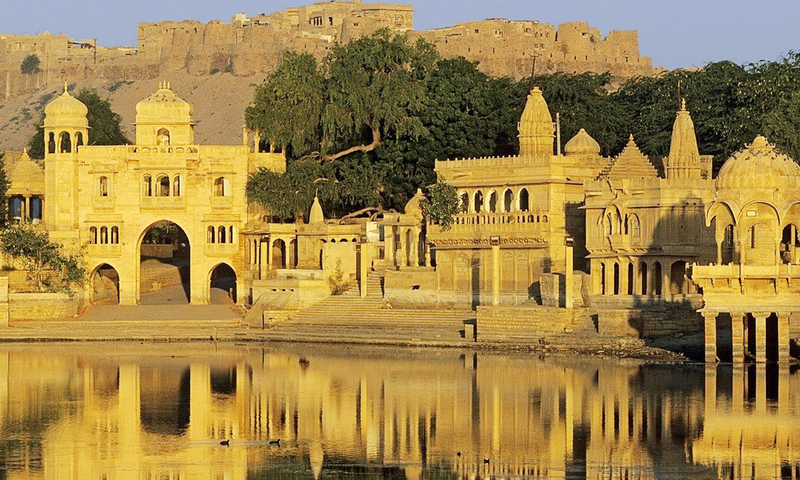 After a night’s rest and a delicious breakfast at Bikaner, we travel to Jaisalmer. 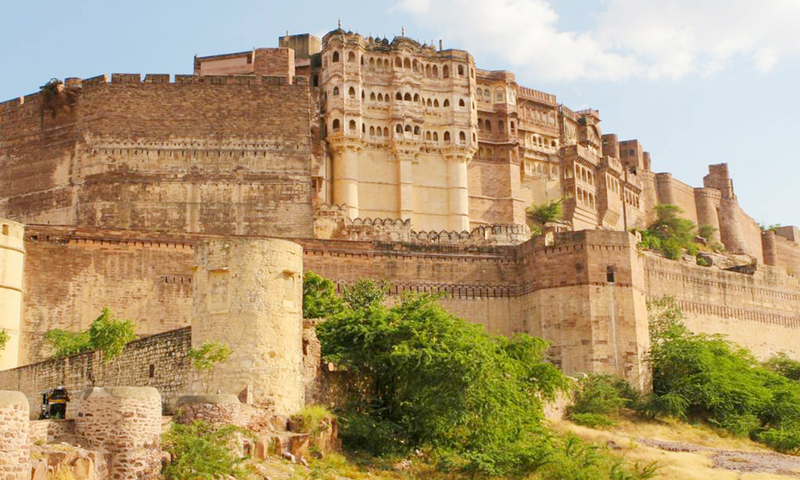 The sandstone walls, beautiful havelis and lack of modernisation in terms of architecture make this city picturesque. 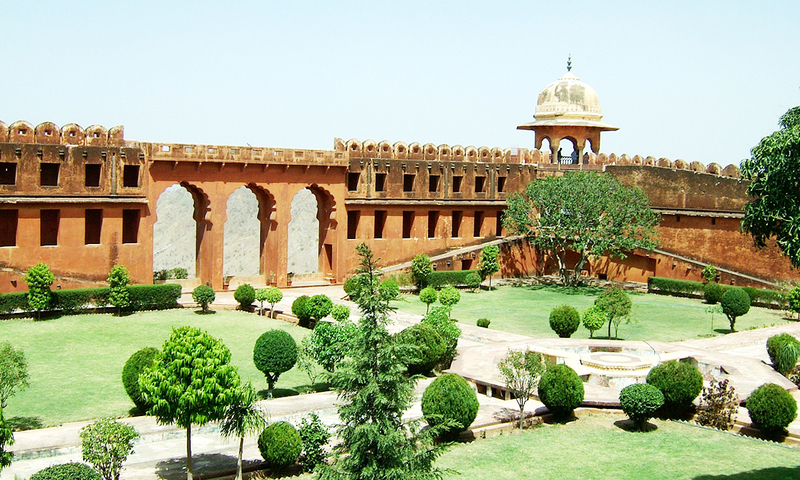 The tour of the city includes a visit to the Fort Palace Museum, temples, Gadisar Lake and Patwaonki Haveli. We retire at the hotel for the night fully aware that there is more to see in this city. After breakfast we head to Jaisalmer Fort and then tour the many beautiful havelis the city is known for. Gorgeous frescoes on the walls of these havelis make them stunning showpieces for every visitor. As the evening comes near, we take a camel ride to the sand dunes and visit the Sun Set point. After seeing the desert sand glitter and then dark, we return to the hotel and prepare for an early start. Early breakfast and then, with the rising Sun, we travel to the Sun City of Jodhpur. We have reserved some time for rest at the hotel. 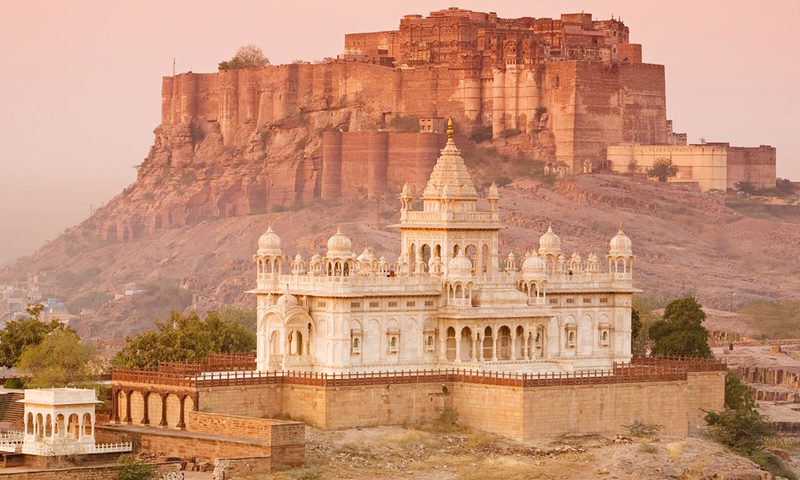 Later in the afternoon, we will visit the Mehrangarh Fort and then visit the royal cenotaphs at Jaswant Thada. These white marble structures over 120 years old commemorate the then ruler of Jodhpur, Maharaja Jaswant Singh. We travel to Udaipur today, the last leg of our tour. On our way, we will visit the Jain temple of Ranakpur. After reaching Udaipur and completing the hotel formalities, you can enjoy some peace and quiet at Lake Pichola. Called the City of Lakes, Udaipur is set with a backdrop of Aravali hills and the scenery of the place itself brings tranquillity to one and all. 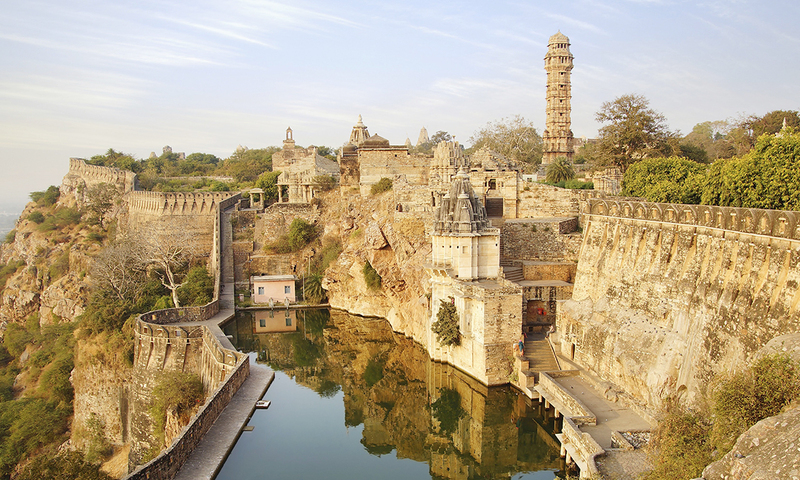 Our guided tour will take you the City Palace and its museum and the Jagdish temple. One final glimpse of royalty, when you visit the Sahelionki Bari, the garden which was maintained as a meeting place for the women folk. We say goodbyes here as you travel ahead to further explore our incredible country, our customs, our traditions and our glory.